You deserve a smile you love, one that makes you happy and that you're proud to share with the world. 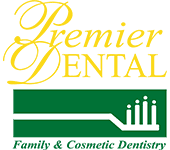 At Premier Dental in Sugar Land, Texas, cosmetic and general dentist Akbar Ebrahimian, DDS, is committed to helping patients realize their very best smile with full or partial smile makeovers. Whether your smile needs a minor adjustment or significant reconstruction with dentures, call Premier Dental or book a consultation online. Dr. Ebrahimian offers both partial and complete smile transformations that are customized to suit your aesthetic goals and your unique dental needs. A smile makeover means having at least one cosmetic dentistry procedure to enhance your smile. It can be a complex mouth reconstruction using a prosthetic — such as dentures — or a straightforward professional teeth whitening treatment to brighten your smile. Your smile makeover may include one or several of these options, depending on your unique needs and goals. Dr. Ebrahimian helps you weigh the advantages and disadvantages of each approach to help you determine the best procedure for you. Next, it's time to talk about your smile makeover options. Dr. Ebrahimian enjoys educating patients and works alongside you to come up with a makeover treatment plan that works for you. Dr. Ebrahimian can show you what your smile makeover will look like before you decide whether you want to go through with it. Like what you see? Get started on your smile makeover with at Premier Dental. Dr. Ebrahimian believes in a conservative approach to dentistry and won’t recommend a procedure unless it benefits the health and beauty of your smile. He makes sure to take into account your desires for your smile makeover, and thoroughly discusses all of your options before recommending a treatment plan. You can rest assured that you’re receiving the treatment that’s best suited for you and your situation. Could your smile be healthier, brighter, and more radiant? If so, call Premier Dental or make an appointment online today.